What kind of extinguisher would you use to fight an electrical fire? The B:C type fire extinguisher is designed to work on electrical fires and burning liquids. The A:B:C type is designed to work on burning wood, paper and cloth as well. Water should never be used to put out a gasoline fire, and also what other kind of fire? Water can be used on wood, paper or cloth, but do not use water on an electrical fire (you could get shocked) or a gasoline fire (it will just spread the flames). What kind of extinguisher should be used on burning paper, wood, or cloth? Only try to extinguish a fire if you know what you are doing and it is safe to do so. Position yourself upwind. Let the wind carry the extinguisher to the fire rather than carrying the flames to you. Continue until whatever was burning has been cooled. Absence of smoke or flames does not mean the fire is completely out or cannot restart. Driver smoking, improper fueling, loose fuel connections. Get enough sleep: Leaving on a long trip when you are already tired is dangerous. If you have a long trip scheduled, make sure you get enough sleep before you go. Most people require 7-8 hours of sleep every 24 hours. Schedule trips safely: Your body gets used to sleeping during certain hours. If you are driving during those hours, you will be less alert. If possible, try to schedule trips for the hours you are normally awake. Many heavy motor vehicle accidents occur between midnight and 6 a.m. Tired drivers can easily fall asleep at these times, especially if they do not regularly drive at those hours. Trying to push on and finish a long trip at these times can be very dangerous. Avoid medication: Many medicines can make you sleepy. Those that do have a label warning against operating vehicles or machinery. The most common medicine of this type is an ordinary cold pill. If you have to drive with a cold, you are better off suffering from the cold than from the effects of the medicine. Keep cool: A hot, poorly ventilated cab can make you sleepy. Keep the window or vent cracked or use the air conditioner if you have one. Your body gets used to sleeping during certain hours. If you are driving during those hours, you will be less alert. If possible, try to schedule trips for the hours you are normally awake. 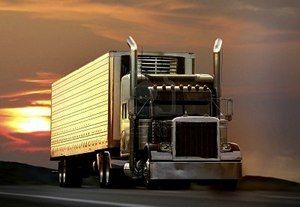 Many heavy motor vehicle accidents occur between midnight and 6 a.m. Tired drivers can easily fall asleep at these times, especially if they do not regularly drive at those hours. Trying to push on and finish a long trip at these times can be very dangerous. When is it a good idea to use drugs to help you stay awake while driving? There are no drugs that can overcome being tired. While they may keep you awake for a while, they will not make you alert. And eventually, you will be even more tired than if you had not taken them at all. Sleep is the only thing that can overcome fatigue. To help stay alert while driving, when should you take breaks? Short breaks can keep you alert. But the time to take them is before you feel really drowsy or tired. Stop often. Walk around and inspect your vehicle. It may help to do some physical exercises. When you are sleepy, trying to �push on� is far more dangerous than most drivers think. It is a major cause of fatal accidents.